Albert Frey was born in Zurich and had Come Up in an era of the Dutch De Stijl Movement & German Bauhaus Schools of Thought on Design. 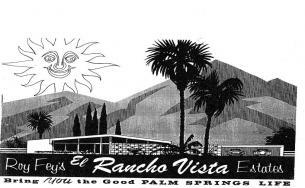 There is a Direct Correlation in these European Design Styles that one can see today in the Iconic Mid-Century Homes & Buildings well-preserved in the Dry California Desert of Palm Springs. Frey moved around Europe, working in Belgium for several notable Architects, then moving to work with the Master Le Corbusier. Mssr. 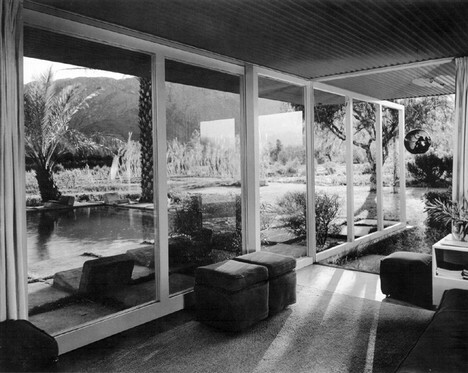 Frey came to America to work in 1928, and indeed one can trace the Roots of California Mid-Century Modernism to this period, as Architects like Frey, Austrians Rudolph Schindler & Richard Neutra moved to the U.S., bringing Art Deco & Modernist Sensibilites to the Somewhat Staid and Rigid American Frank Lloyd Wright Prairie Design Ethic of the Day. 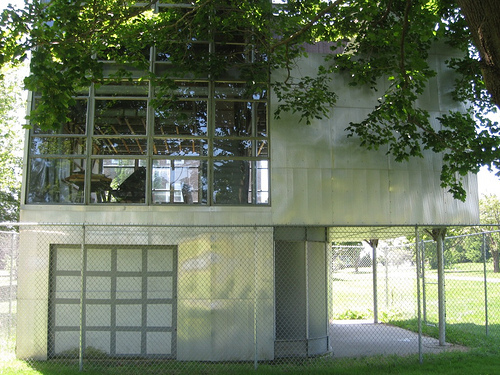 Designed by architects A. Lawrence Kocher and Albert Frey for the 1931 Architectural League exhibition in New York, the Aluminaire House was one of only two houses by American architects to be included in the Museum of Modern Art’s famed 1932 International Exhibition of Modern Architecture. 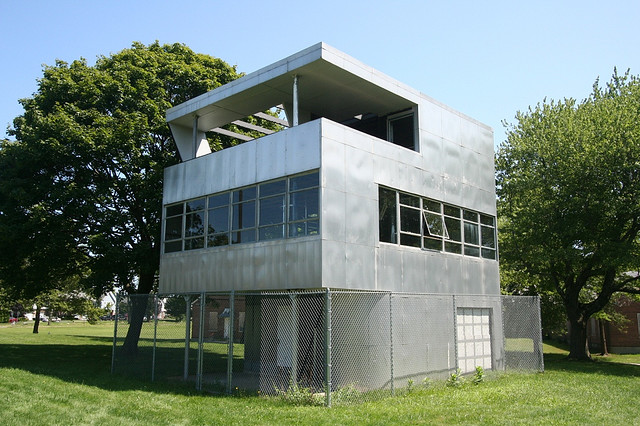 Disassembled and rebuilt 3 times, The Aluminaire now resides On the Central Islip (Long Island) campus of the New York Institute of Technology. And So ~ at the Peak of Their Careers, Mssrs. Frey & Loewy’s Paths Converged. 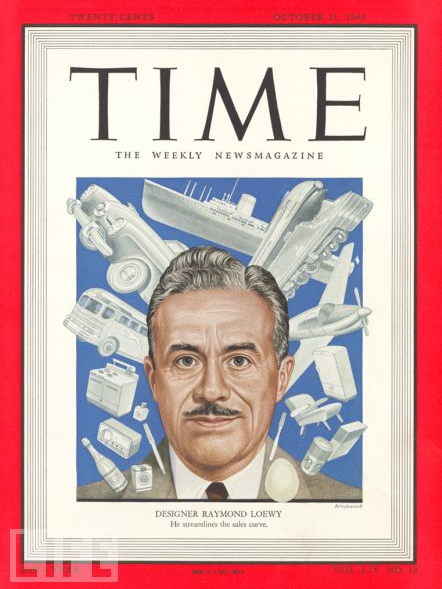 As Raymond Loewy was a Confirmed Bachelor at this point in his Stellar Mad Men Career, he needed a Man Cave. 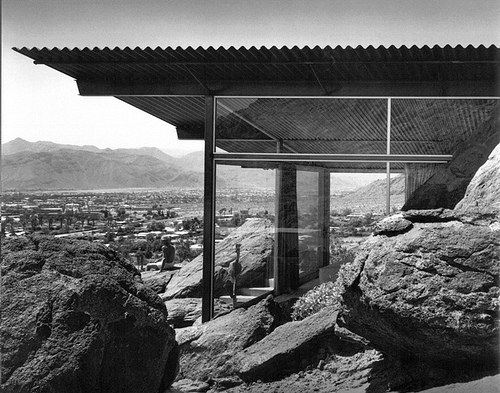 And who Better to Build It than the Confirmed Mid-Century Desert Design Maestro Albert Frey. 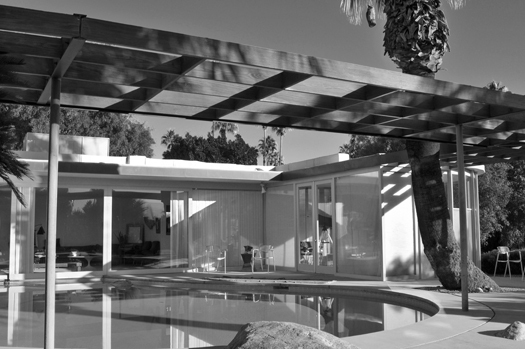 From 1935 to 1937 Albert Frey worked with John Porter Clark (1905-1991), a Cornell-educated architect, under the firm name of Van Pelt and Lind Architects as both were yet unlicensed in California. April of 1937 saw Frey briefly return to the east coast to work on the Museum of Modern Art in New York. 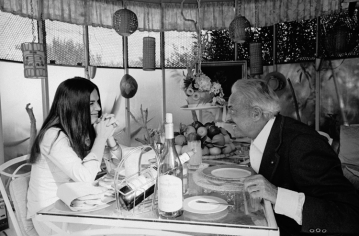 While in New York Frey married Marion Cook, a writer he had met in Palm Springs. 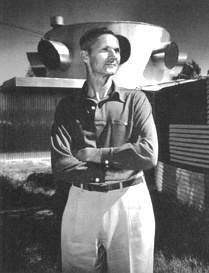 In 1938, Frey and his wife went to France and returned to America on the SS Normandie, a floating Art Deco Masterpiece. 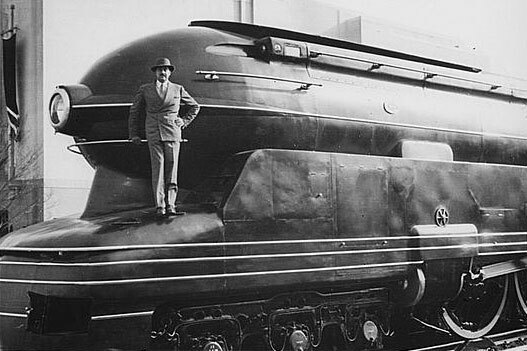 The couple arrived back in New York City on August 1, 1938 aboard the Great Ocean Liner. 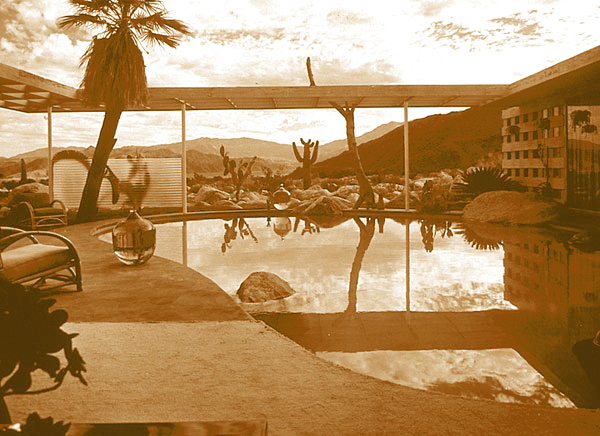 To see more of Julius Shulman’s Palm Springs Architectural Photography have a look at Modernism Rediscovered; pictures by Julius Shulman from::Palm Springs Modern Committee . 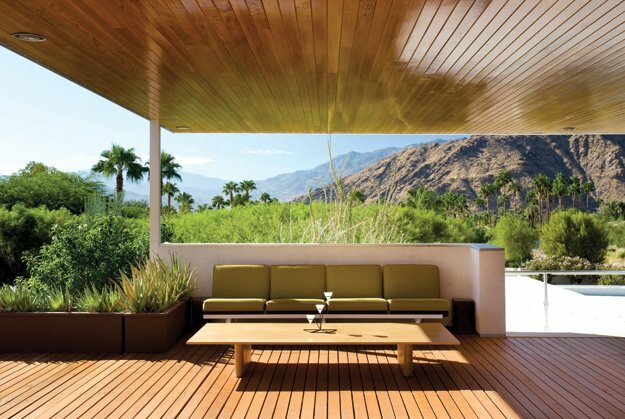 The much-photographed 1946 masterwork by architect Richard Neutra might be the complete marriage of the abstract geometry of modern architecture with the desert-and-mountain landscape of Palm Springs. 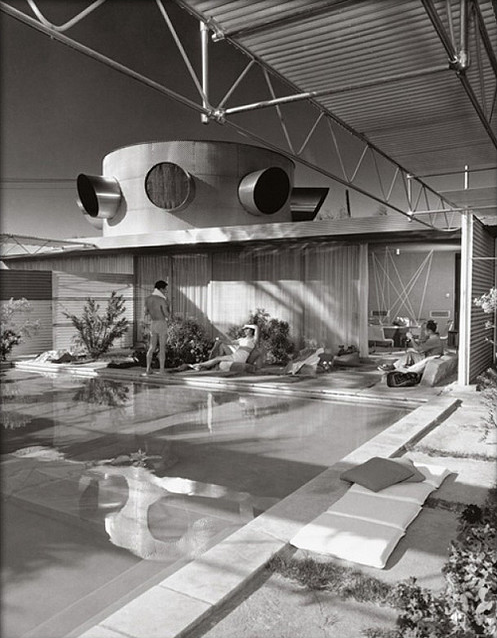 The sleek, largely horizontal, 3,162-square-foot house — on 2.53 acres, and including five bedrooms and six bathrooms — is laid out with pinwheel-like wings, offset by a few vertical elements — a chimney and an outdoor sleeping area that Neutra called a “gloriette” — that pull together the sprawling composition. 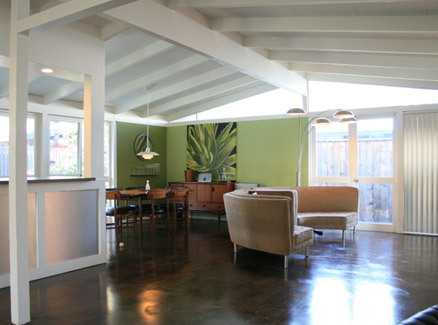 Many critics place the house amongst the most important houses of the 20th century in the United States and even was included in a list of all time top 10 houses in Los Angeles in December 2008. 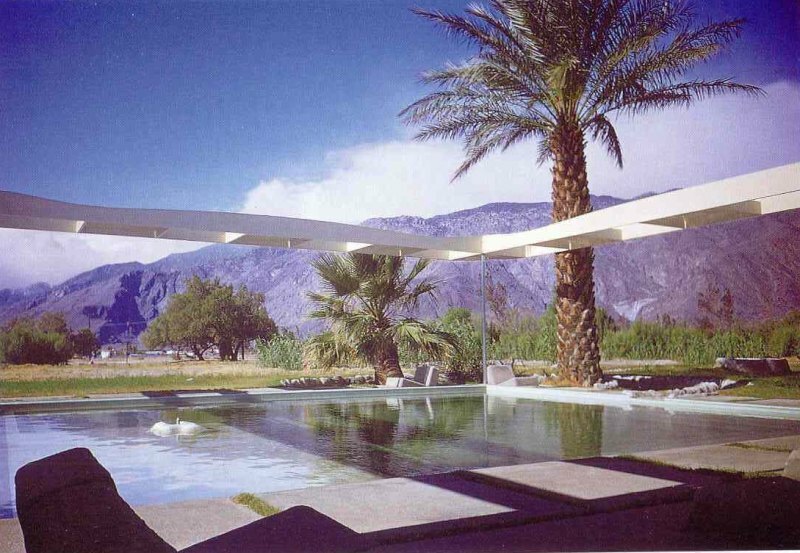 And while the Upscale Master Neutra was Doing the Big-Time Mid-Century Masterpieces in the Desert ~ The Pioneer of the Genre, Albert Frey worked on a Smaller Scale with regard to Residential Design. 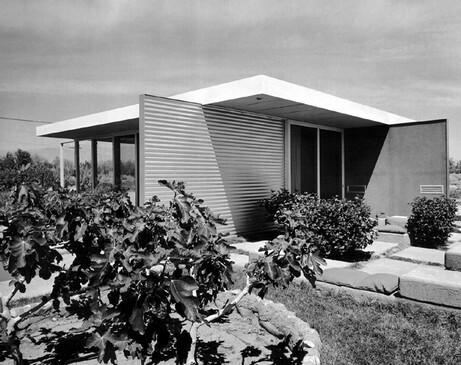 Concentrating on his Ethic of Economy and Cost-Effective Materials, Frey Designed & Built an Addition to his Frey House I, in 1946. 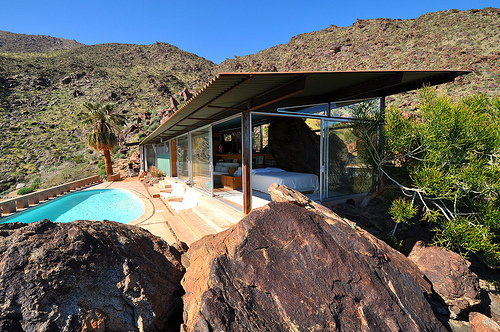 To see Frey’s own houses today perched in a Rugged Palm Canyon, is Almost Surreal. 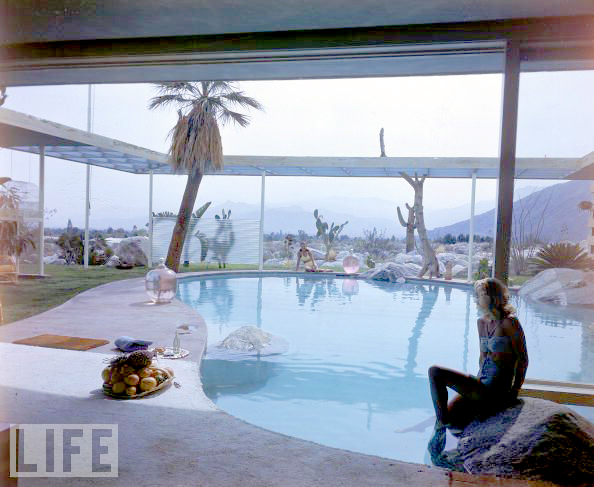 So Famous is the UFO-like Profile of Frey’s Home, it’s hard to Distinguish the Reality of your Gaze from one of Julius Shulman’s Timeless photographs. 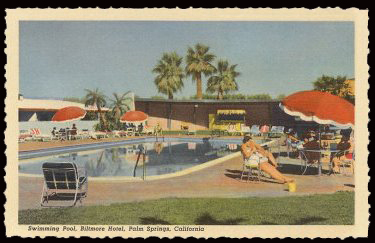 And Almost as a Parallel ~ The Bachelor Designer Raymond Loewy’s career had drawn him to Palm Springs in the Forties. 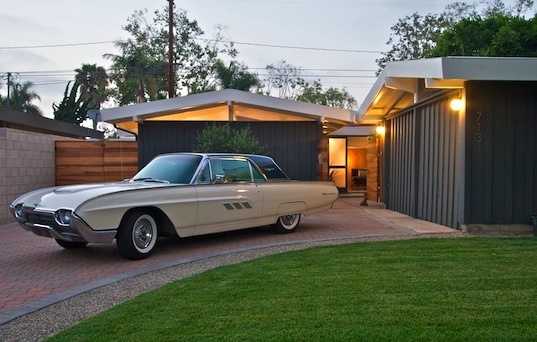 So What Better Architect than Frey to collaborate with Loewy for the Ultimate Mad Men Man Cave ? 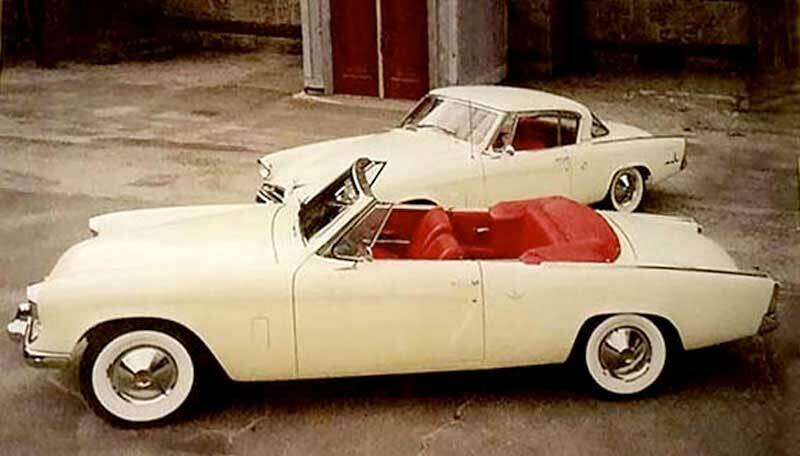 While his business earned roughly $3 million a year for decades, Loewy was able to indulge a sybaritic life‑style. 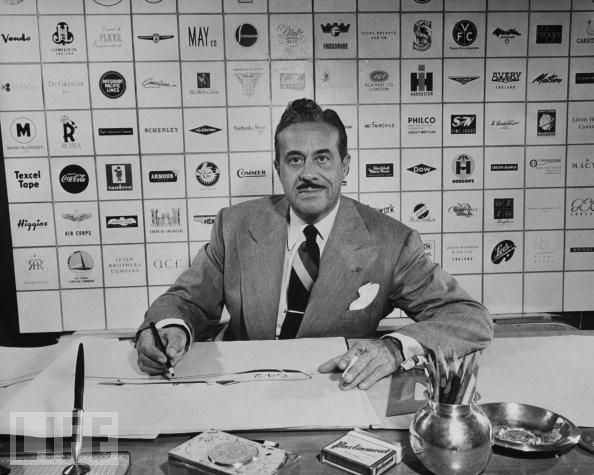 In addition to a series of enormous yachts, Loewy at his peripatetic peak maintained lavish residences on Long Island and the Riviera, a pied‑a‑terre in Paris and a château in the suburbs, a Fifth Avenue cooperative, a villa in Mexico and of course the Frey House Palm Springs, Calif. “Of course, we have very little of all that left,” said his wife Viola. 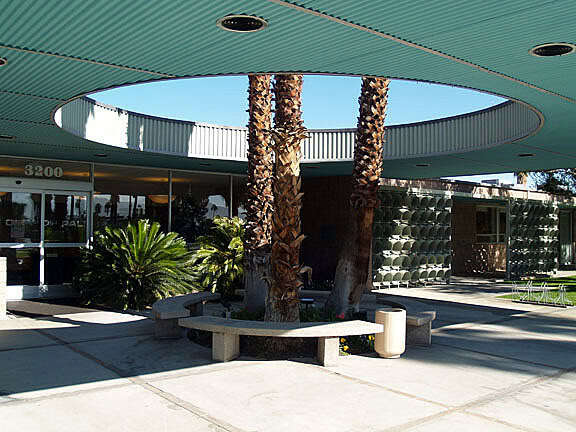 Albert Frey, an early ambassador to America of the International Style of architecture who later brought its themes to buildings in harmony with the American desert, died on Nov. 14 at his home in Palm Springs, Calif., his executor, F. Gillar Boyd Jr., said. 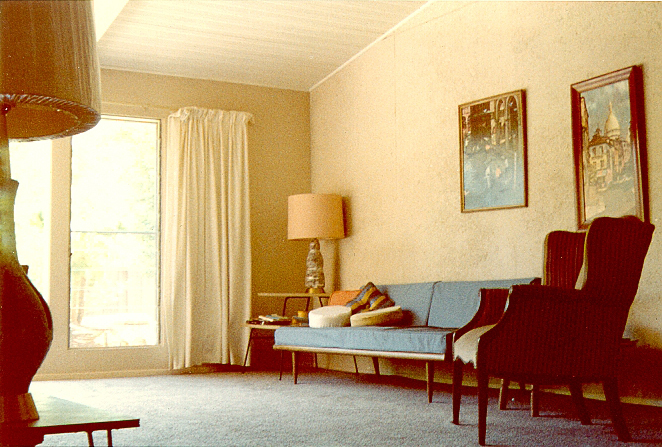 Mr. Frey belonged to a generation that believed in a political role for modern architecture, that of social liberation through machine-made, egalitarian and affordable designs. 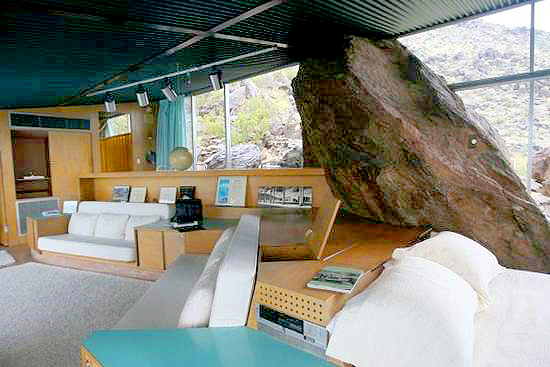 His chosen materials were aluminum, glass, cables and, eventually, the very boulders and sands of the desert where he settled. In a career that spanned more than 65 years, Mr. Frey remained true to the principle that architecture should make the most of the least. 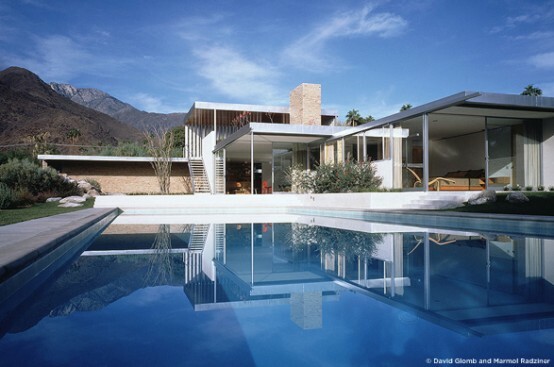 His best known works were the East Coast houses he designed with Lawrence Kocher in the 1930’s and the many buildings he created in the Palm Springs of the 1940’s, 50’s and 60’s. ”He was the last of a generation of European architects that came to the West Coast envisioning that, in this unformed landscape, a perfected vision of a modern future could bloom,” said Terence Riley, chief curator of architecture and design at the Museum of Modern Art. to products such as toothbrushes and pens. Mssr. 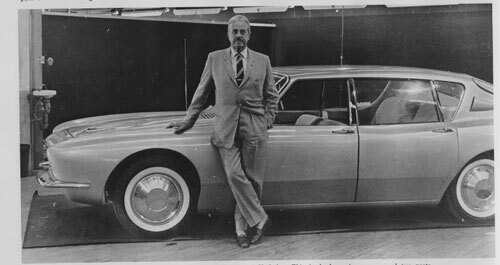 Loewy served as consultant to numerous corporations including The Hupp Motor company, Coca- Cola, United Airlines, Shell, Exxon, IBM, BMW, GM and NASA sought him for his streamlined designs seen to reflect economy and grace. Loewy was a Consultant to NASA on the Apollo Space Program, and on the Saturn I, Saturn V, and the SkyLab Habitat studies, 1967-1973. This entry was posted on August 11, 2010 by federicodecalifornia. 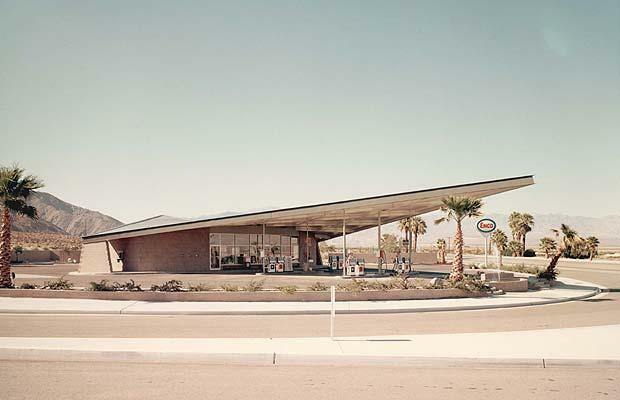 It was filed under California Icons ~ and was tagged with Albert Frey, Cliff May, Julius Shulman, Mid-Century Architecture, Palm Springs, Raymond Loewy, Roy Fey, Studebaker Avanti. I have fairly large breasts. Well ~ that certainly will get no complaints from Federico..! 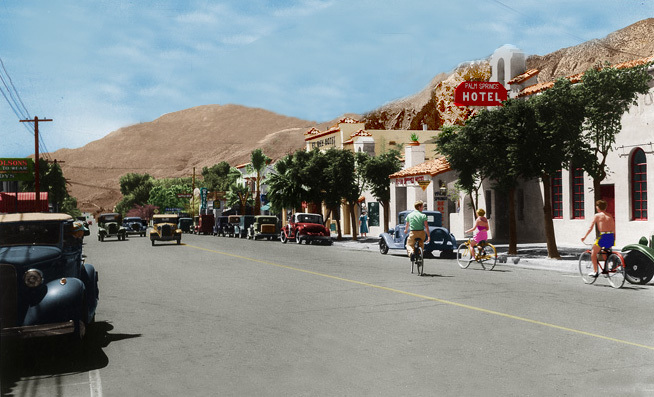 I am the author of “Julius Shulman: Palm Springs” which is published by Rizzoli and documents Julius’ amazing 70 year history photographing Palm Springs. Very nice piece that you did on Frey. Great photos. Thank you so much. 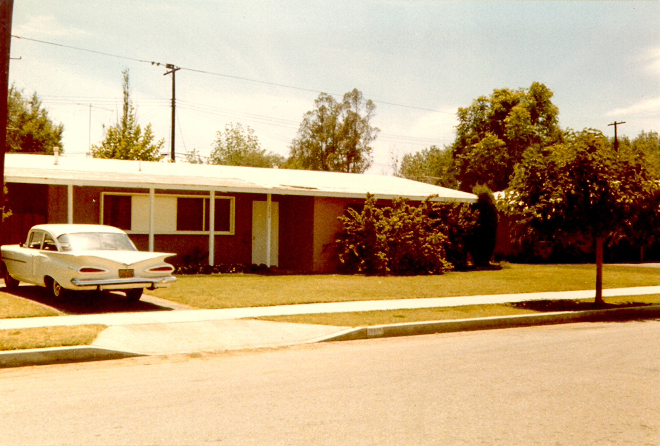 My Grandparents were contemporaries of Frey’s and had a small house at that time near his, which is still there. As they were very influential to me with regard to Mid-Century, Cultural and Arts awareness, this story was also of personal interest to me. Your comment is high praise indeed and I really appreciate it. All the best, Federico.